The very cold winter has turned into a cold spring but, Georgia and I made our first RV trip of the year last Friday. 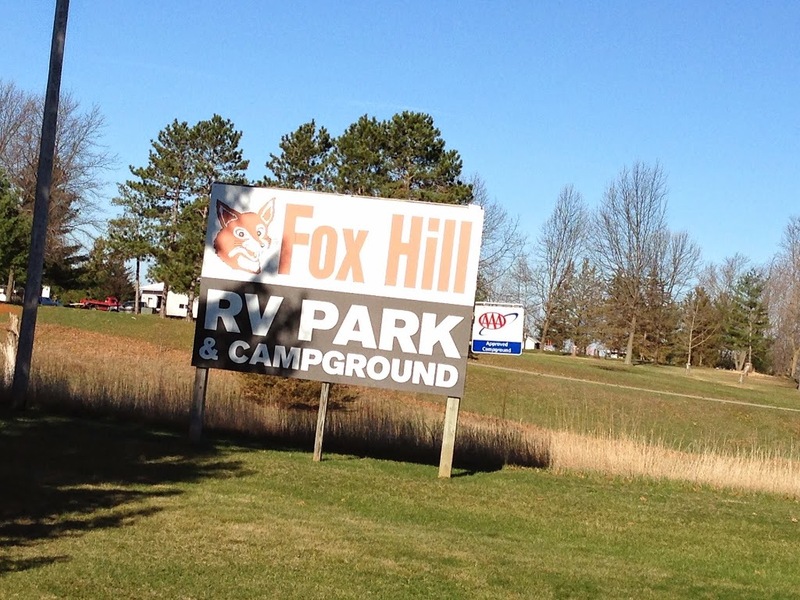 It was opening weekend at Fox Hill RV Park in Baraboo, Wisconsin. We always enjoy the Wisconsin Dells area, and we have been to Fox Hill before, so we took advantage of a special offer from the park. 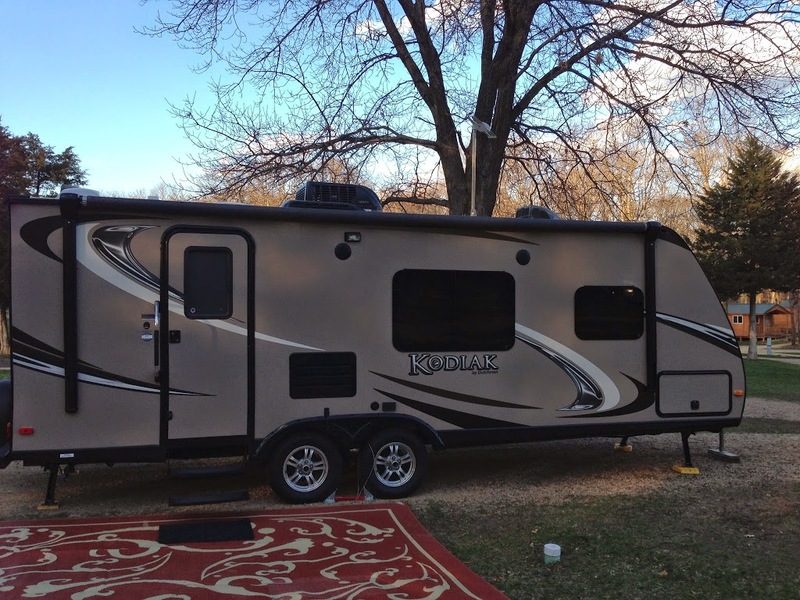 By booking two consecutive weekends, we can leave our trailer there for the week in between for free. Plus, by using Passport America, we got the site for half price! How could we say no to that deal? I had the day off and we had loaded the Kodiak during the week so we were pretty much ready to go on Friday morning. I did a final check of all the tires, battery and propane then we were ready to hitch up. We got the ball under the hitch on the first try and were soon on the road. We made a short lunch stop at a rest area then arrived at the park just after 1 PM. The last time we were at Fox Hill was Memorial Day of last year. That day the park was completely full. On this cold spring opening weekend, it was almost empty. We had a pull through site so we were setup quickly. I even set out the Sewiepig I got for Christmas. I didn’t really need it for this hookup but put him out just for fun. 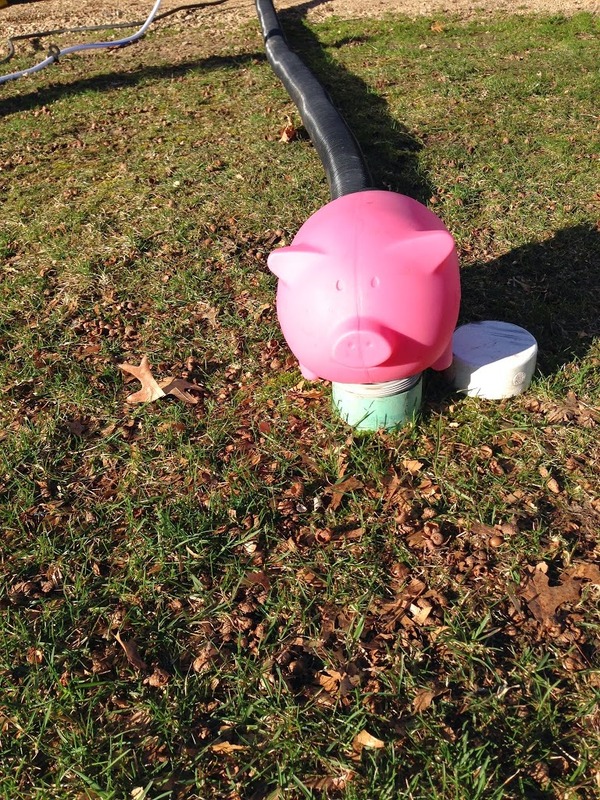 When I went to get the satellite dish, I realized I had forgotten the DirecTV receiver at home – so no satellite TV this weekend! This was an opportunity to try out the Winegard SensarPro that I had recently installed. I cranked up the antenna and used the SensarPro to help me rotate it to the best orientation. It worked to help me get the best reception possible. There weren’t a lot of channels available but we got enough to keep us entertained even when it was too chilly to be outside. Georgia wanted to look for a particular yarn shop in Baraboo so we drove into town to look for it. From what she saw online, the shop had moved a block from it’s old location but we couldn’t find it anywhere around. 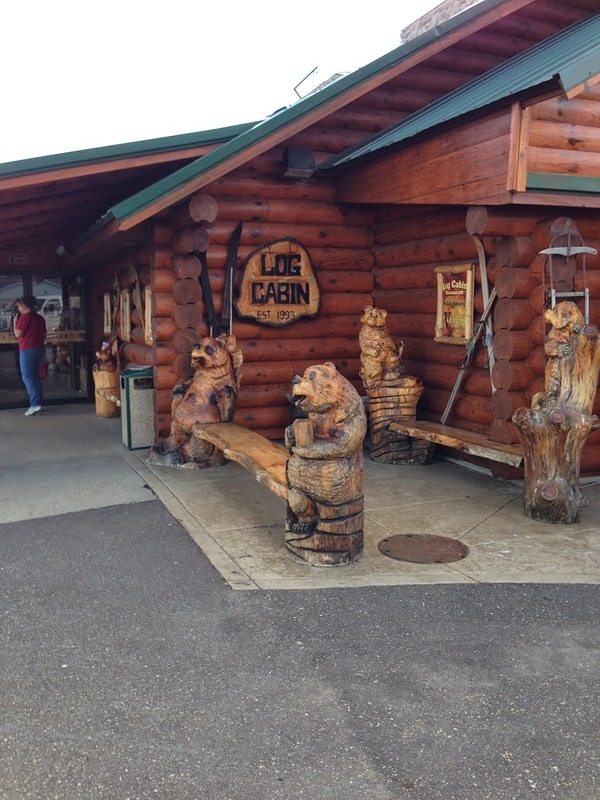 After a few trips up and down the street we gave up and continued on to the Log Cabin Restaurant for dinner. This is an interesting place decorated with wonderful wood carvings and scroll saw work. The food is very good too. After dinner we stopped at Ho-Chunk Casino. We didn’t stay long but we each came out $20 ahead on the slot machines.Then it was back to the trailer for a peaceful evening inside. It was cold enough that we needed the furnace to warm us up. Saturday we drove to Wisconsin Dells to get coffee and breakfast.We thought about going to the Wisconsin Big Cat Rescue but it was just a little too cool out for much outdoor activity so we decided to put it off for another time. Maybe next weekend. Instead, we went back to the casino where, this time, we lost a little – but only a very little. Georgia called the yarn shop she was interested in and found out they were located inside a coffee shop. We found the shop but, they are still closed while they set up the new store. Again, maybe next weekend. We went back to Ho-Chunk for lunch and played some more slots – won again. Then back to the trailer where we grilled steaks and mushrooms for dinner. A light rain forced us back inside for the rest of the night. Sunday morning we woke to a more steady rain so we packed up early and were on the road by 10 AM. Georgia found another yarn shop to visit on the way back. It wasn’t the best weekend for outdoor activities but, we got out for the first time this year and we will be going back this next weekend. 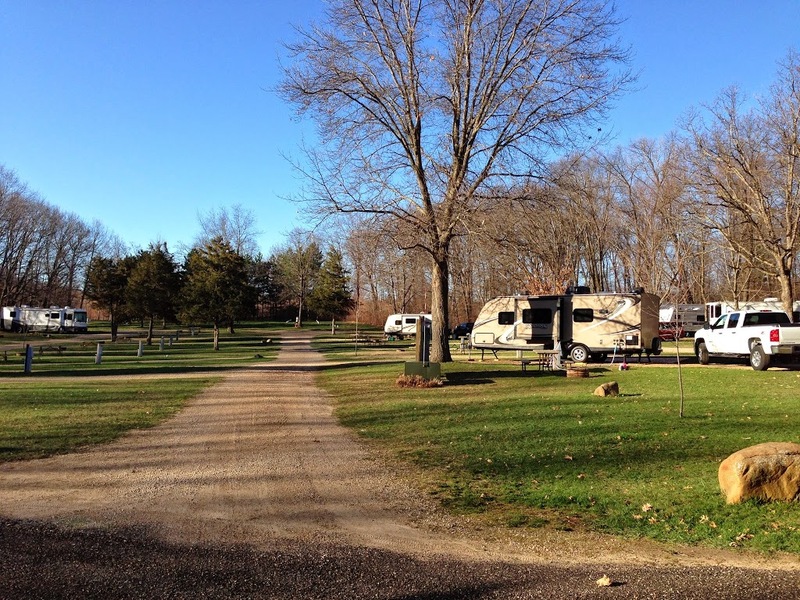 Maybe we can get outside more bu,t even if we can’t, it will be nice to be RVing after holing up all winter.